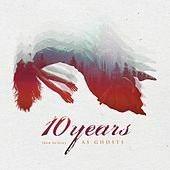 Preferring heavier melodies and more of a sense of importance than the usual emo pop metal hybrid currently in fashion, 10 Years comes on like a band playing what can only be called modern rock music. Formed in Knoxville, Tenn., in 2002, they released one album themselves before getting signed by Universal and released The Autumn Effect in 2005. Fans of the similarly progressive Thrice will want to check out 10 Years.